Yorkshire has a multitude of places which offer delicious carveries. These are 11 of the best carveries in Yorkshire according to TripAdvisor. Had a standard carvery today and I must say all the food was spot on. the meats cooked to perfection and the mash was nice and fluffy. And a good selection of veg. Would definitely recommend. Had a great afternoon at this lovely pub eatery!! Carvery was excellent! Our best yet!! Staff so friendly! Would recommend anytime!! First class! 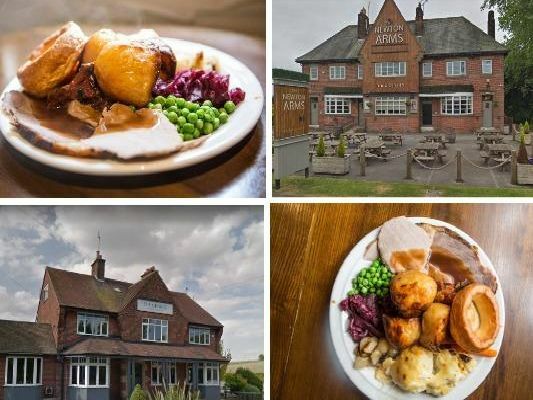 We came in for a carvery this afternoon and it was fantastic, the meat melted in your mouth, it was all hot, fresh and so tasty and fantastic value for money. Called in here to try the carvery the food was piping hot and the veg was cooked to perfection the cauliflower cheese was fab all the staff were brilliant.